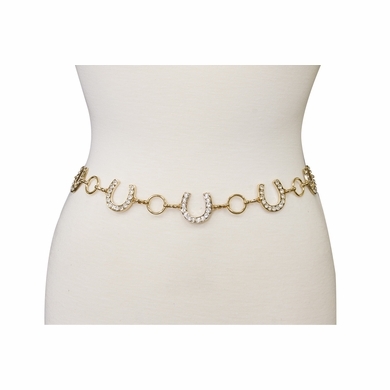 Horseshoe chain gold and silver belt. One size fits all up to size 40. Adjustable chain belt to wear it where you need it. Comes with a hook for easy adjustment.